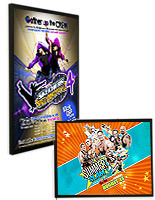 This Affordable Sign Supply With Matte Black Frame Gives Your Exhibit Modern Styling At Unbelievable Prices! This Sign Supply Is Only One of Hundreds of Models Currently Available In Our Fully Stocked Warehouse! 11" x 17" 16" x 20"
Which Light Box Should I Buy? Thin profile (.83") won't intrude on viewers' space. Economy price will fit any budget. 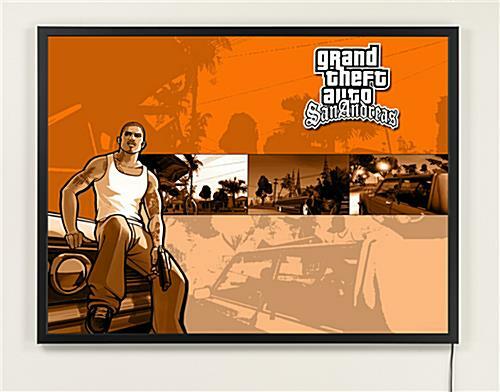 Fits standard 18" x 24" posters. Minimal light diffusion may result in hot or cold spots. 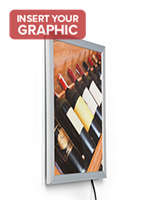 The LED lightbox, state of the art sign supply that clips open is fitted with four predrilled holes. 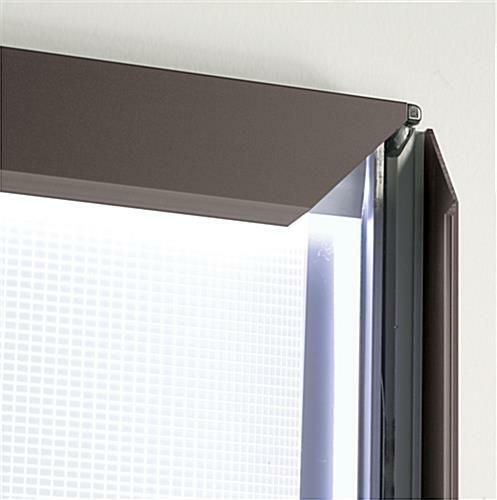 They also contain screws and wall anchors, to bracket it effortlessly to a wall or other flat surface area. 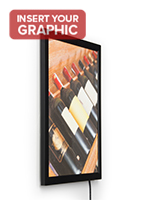 This sign supply that accommodates media content also comes with two "z-bars" for safer attachment to a wall. (Please see the mounting directions for more details.) 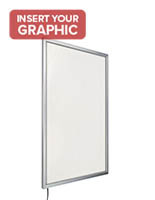 The sign supply that attaches to walls, like well lit sign holders, is an ideal instrument to attract awareness. 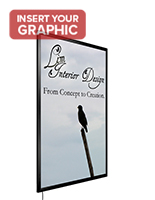 They assist beautifully when publicizing a picture or marketing artwork inside of a professional environment. This sign supply grants you the luxury of LED bulbs at an inexpensive cost! 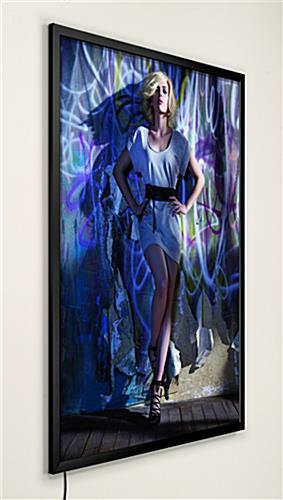 The visual graphic LED frame has an edge-illuminated design that completely lights up an exhibited picture or publicizing artwork. 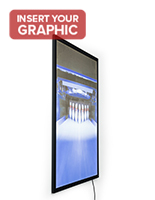 This commercial sign supply with LED technology, also recognized as a lightbox, is created to be used in a professional environment as its LED bulbs can remain on for long periods of time. LED technology is also a low energy and low voltage form of illumination, consequently saving your business cash while being conscious of your business's electrical output and effect on the planet. We engineered the slender sign supply with clip-open framing. 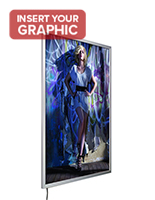 Clip open technology means that it is impressively simple to refresh and rejuvenate displays. 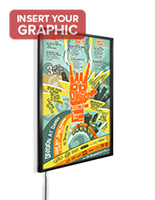 This sign supply is engineered to accommodate an 18" x 24" visual graphic, in either portrait or landscape orientation on a wall. 32.0" x 25.5" x 0.9"